Carinn; carerynn | Malaysia Fashion, Beauty & Lifestyle Blog: [Guest Post] Check Out These Walk-in Wardrobes from Malaysian Interior Designers! 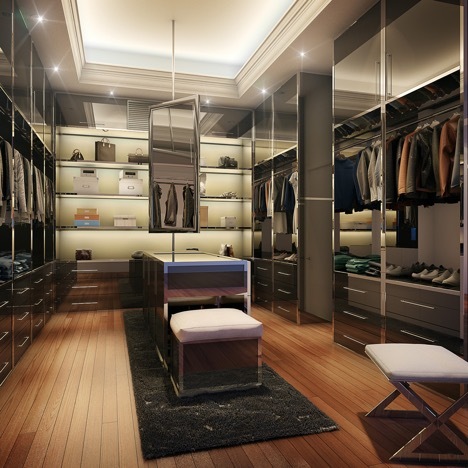 Walk-in wardrobes are the ultimate interior design indulgence for the fashion conscious. It is just amazing to have a large space to hang the clothes nicely and color coded, and dedicated sections to keep your precious collection of jewellery and watch, handbags, and shoes. 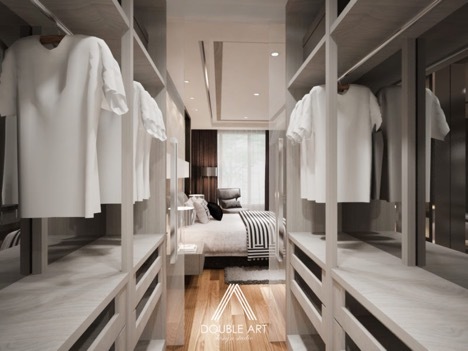 If you would love to have your very own walk-in wardrobe, here some of the most practical and stylish wardrobes designed by Malaysian interior designers that will definitely make you drool! 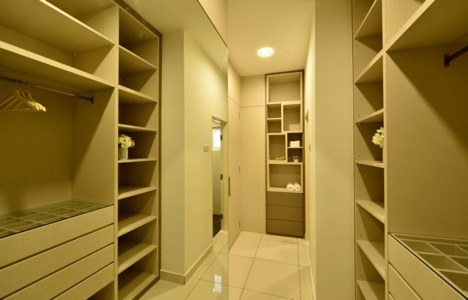 This walk-in wardrobe would not look out of place in a designer store along Bukit Bintang. With organised shelves for him and her, as well as an island counter for jewellery and accessories. A very classy looking wardrobe with all white built-ins is every girl’s dream. 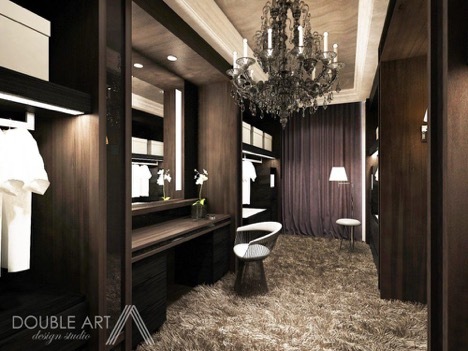 Added with full-length mirror and wainscoting detailing on the wall, the wardrobe resembles one of those wardrobe owned by the Hollywood celebrities. The designer had turned an empty, narrow space into a practical wardrobe with a lot of open shelves to keep the folded clothes and bags, drawers for the jewellery and accessories. 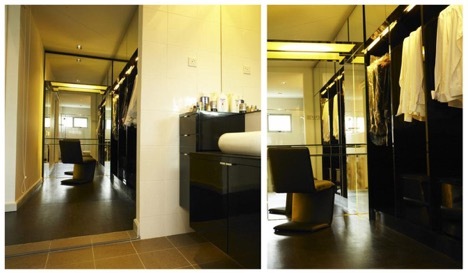 The narrow space was brilliantly utilised with maximum storage space from floor to ceiling. Open shelves to keep big suitcases and boxes on top, railings to hang the shirts, pants, and jackets in the middle and drawers at the bottom to keep the small accessories neat and tidy. 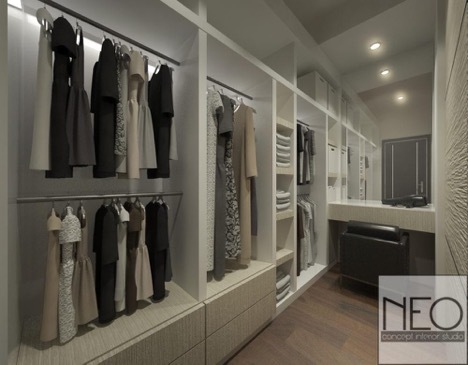 A very sleek looking walk-in wardrobe that pays careful attention to what the ladies always want - a dedicated space for the shorter clothing items, long dresses, and a dressing table with large vanity in their very own sanctuary. This masculine themed walk-in wardrobe feels so luxurious when the dark wood built-ins are paired with a crystal chandelier and shaggy rug. Besides serving as an area to get dressed, this walk-in wardrobe is also perfect for an #OOTD photoshoot. 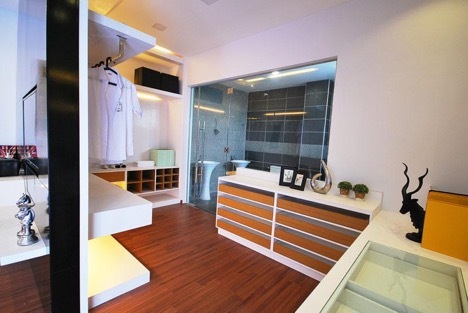 Combination of natural light wood and white cabinets successfully create a modern contemporary walk-in wardrobe to separate the bedroom and the bathroom. The space is also completed with a chest of drawers, open shelves, and plenty of space to hang the ironed clothes. Dark wood built-ins are perfect for a masculine themed walk-in wardrobe. Instead of the usual open style cabinets, the designer added sliding doors with vanity mirrors to make the space feels bigger. There you have it! 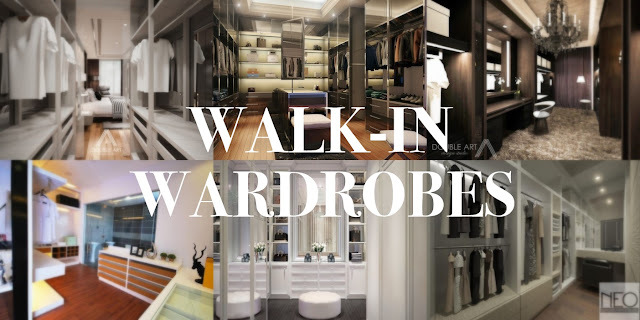 Some of the most stylish walk-in wardrobes ever, and they are all made in Malaysia! 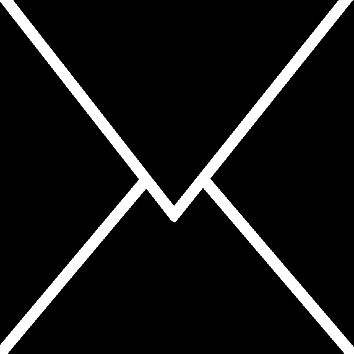 All these wardrobes were made by talented interior designers from RecomN.com, so if you manage to convince your other half to agree to a walk-in wardrobe, you can find a designer from their website to make it happen! 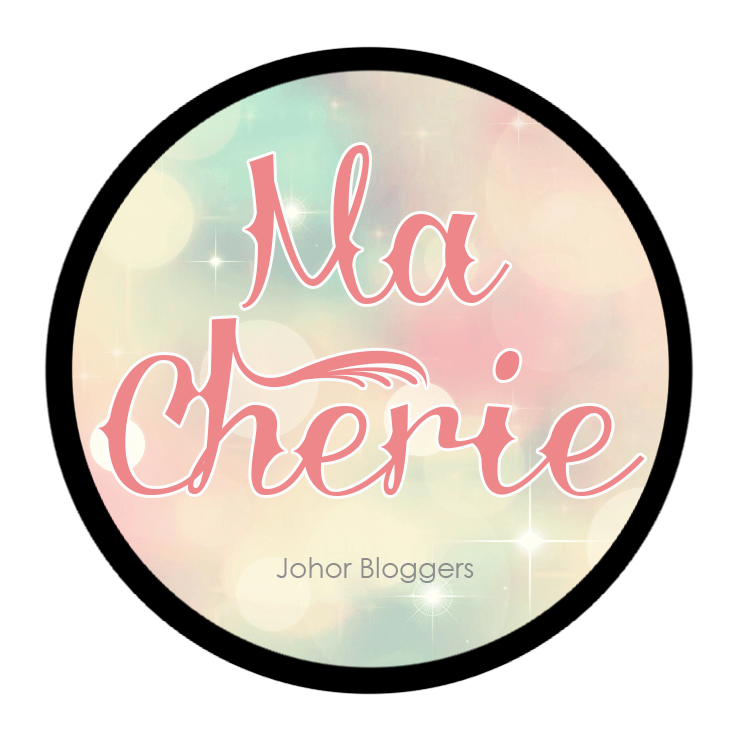 Disclaimer: This article is published in partnership with RecomN Malaysia.